The goat girl is my mother. 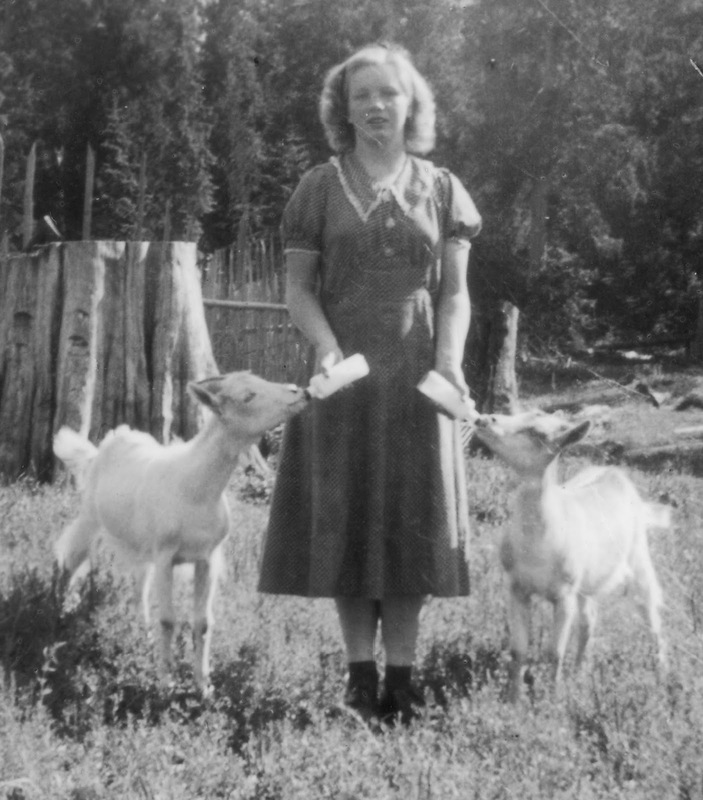 She is patiently feeding two young goats. They are knobby kneed adolescent goats, not young kids but that awkward, between age. I imagine she was only 13 or 14 when this photo was snapped. Her hair hadn't achieved the long blonde splendor of her teen years. I bet she sewed her dress and I bet she's wearing sensible shoes. Just a young slip of a girl but already a shadow of the woman she would become; sensible, creative, home spun and dependable.